Do you want a top of the line luxury hotel, a family friendly hotel with plenty of activities for the children, an all-inclusive resort, a place with corporate accommodations, or just something in between? 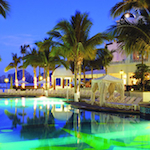 Cabo San Lucas hotels offer everything from large chains to independently run hotels. One thing to keep in mind when you are deciding where to stay in Los Cabos is that there are three very distinct areas: Cabo San Lucas, the Corridor, and San Jose del Cabo. Cabo San Lucas and San Jose Del Cabo are about 45 minutes apart and the Corridor is the area between the two towns. While the Corridor may not be close to a lot of restaurants or nightlife, it makes up for it with being home to some of the top luxury hotels in Cabo as well as being close to most of the golf courses. 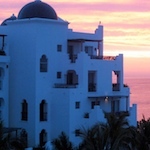 Scroll down to see our listing of Cabo San Lucas Hotels and a map of hotels and resorts in Cabo. Whether you are relaxing on the beach, unwinding at the soothing spa or dining at one of the gourmet ocean view restaurants, you are sure to have wonderful experience at Pueblo Bonito Sunset Beach Resort & Spa. 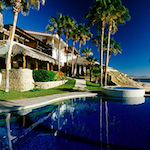 Located on a bluff overlooking the Pacific Ocean, Pueblo Bonito Sunset Beach offers secluded luxury. The Luxury Without Limitations All-Inclusive plan allows guests to enjoy world-class dining and a wide array of premium beverages. The All-Inclusive plan also includes the restaurants and bars at sister properties. Located right in the heart of downtown Cabo San Lucas, the Cabo Inn Hotel is a small inn that gives you an intimate experience with Cabo. Great for budget travelers or spring breakers, this hotel will not break your wallet. 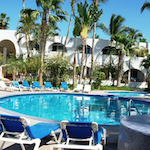 Club Cascadas de Baja is located in the heart of Medano Beach and only 1 mile to downtown and the marina. A resort with timeshare options, Club Cascadas de Baja has 110 units that are one to four bedroom villas with an authentic Mexican feel. The condos have a living room, fully equipped kitchen and balcony. The hotel has tropical grounds with 2 large pools with swim up bars, tennis courts, spa and fitness center. One of the first hotels in Cabo San Lucas, the Hotel Mar de Cortez has 90 units ranging from a standard room to 2 bedroom suites. This family run hotel for over the past 30 years has a feel of Traditional Mexican hospitality. Amenities include a pool and onsite restaurant Baja Peppers and bar. Pueblo Bonito Los Cabos Resort & Spa is a romantic Mediterranean all suite hotel in Cabo San Lucas. Each suite offers an ocean view, kitchenette and large floor plan. With a premier beachfront location and only a 10 minute walk to downtown Cabo San Lucas, Pueblo Bonito Los Cabos is great for weddings and offers family and children activities as well. An all-inclusive package is available. Pueblo Bonito Pacifica is an adults only luxury all-inclusive hotel located on the Pacific Side of Cabo San Lucas. Guests will have stunning views of the the ocean and magnificent sunsets. All meals and most drinks are included with the stay. The Pacifica also offers a fabulous spa. Great for couples or spa lovers. 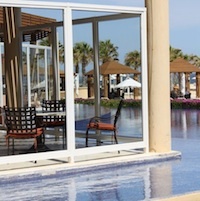 Located on Medano Beach, Pueblo Bonito Rosé Resort & Spa features distinctive rose-tinted walls and a Greco-Roman theme. Pueblo Bonito Rosé Resort & Spa offers full-service amenities such as all-suite accommodation with kitchenettes, spa, event planning services, gourmet restaurants and Cabo San Lucas vacation packages. Pueblo Bonito Sunset Beach is an luxury Cabo resort blissfully located on a secluded private coastal bluff overlooking the Pacific Ocean. This resort includes award-winning amenities such as a spa, gourmet restaurants, 6 swimming pools, and all-suite accommodations. Located on the eastern edge of Cabo San Lucas, the RIU Palace Los Cabos is a luxury all inclusive resort. Rates include drinks and meals. In addition to the amenities on site, guests have access to the next door RIU Santa Fe’s outdoor pool, health club, and recreational facilities. 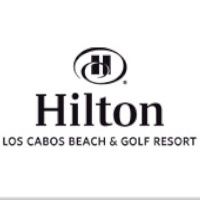 Limitless rest and relaxation is yours for the taking in Hilton Los Cabo’s 375 plush guest rooms and suites. Revel in the luxury of a private ocean view balcony, sumptuous linens and richly-appointed furnishings hewn from handcrafted wood. 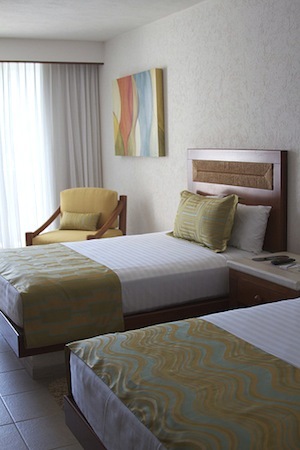 The Cabo Surf Hotel is a boutique hotel located on Playa Acapulquito, which is very popular with the surfers. Originally a beach villa, this hotel has grown over the years to be a Cabo favorite. The 7 Seas restaurant, Sea Spa and Mike Doyle Surfing School make the Cabo Surf Hotel more than just a hotel in Los Cabos. Built in the 1970s when Los Cabos was still in its infancy, the One&Only Palmilla has grown into one of the most recognizable names in the area. 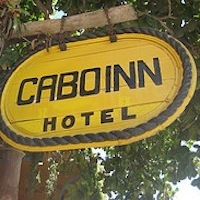 Well known for luxury accommodations, One&Only has many celebrity clientele.